A chemical peel is a skin treatment that utilizes acid to take off damaged layers of your skin. Alpha hydroxyl acids, trichloroacetic acid, or phenol is used in a chemical peel in the hopes to reveal smooth, healthy skin. Besides skin lightening, it’s used to help with wrinkles and blemishes, too. It’s a tried and true cosmetic procedure that has been around since ancient Egypt (in primitive forms, of course). The results are immediate and the procedure is usually done as an outpatient one where you’ll be able to go home the same day. 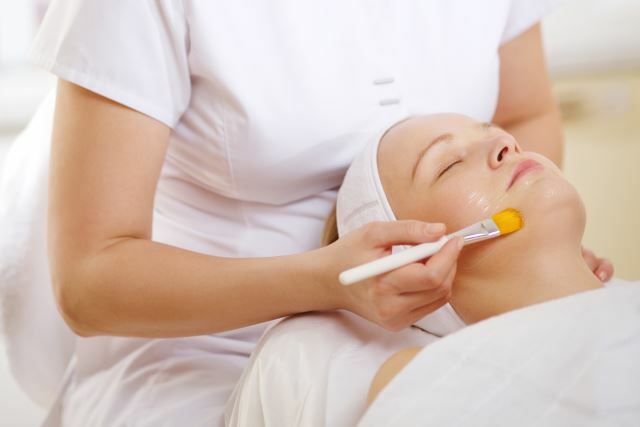 There are different types of chemical peels from light peels to deep peels. Deep peels are longer (over an hour in some cases) and will have a longer recovery time than a normal chemical peel. These deeper peels are used for removing growths, minimizing wrinkles, and correcting blotches that were caused by sun exposure. Chemical peels are considered to be safe and rarely come with complications. However, certain risks should be noted. These risks are scarring, swelling, skin infections, discoloration, and cold sores. Known as a laser peel or laser skin resurfacing, this is a procedure where laser technology is used to remove the outer, damaged layers of skin in order to even out your skin tone. Aside from lightening dark spots and evening out pigmentation, laser skin treatments can also be used to treat wrinkles and diminish acne scars. The laser not only removes the dead outer layers of skin but also warms the layers underneath in order to help new skin cells grow. There is ablative laser treatment and non-ablative laser treatment. 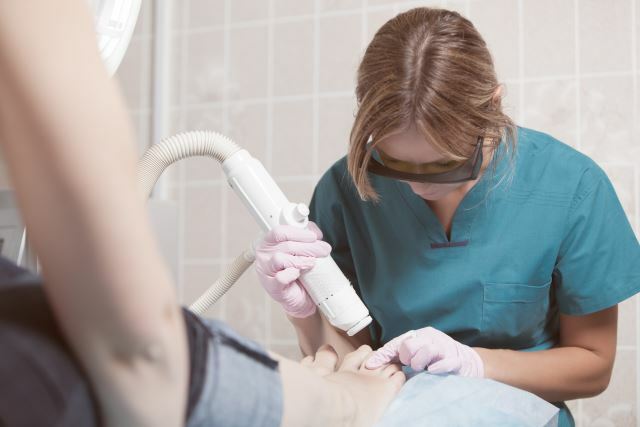 Ablative lasers are more effective but also pose more risks and have a longer recovery time. This technique usually calls for a carbon dioxide laser that is used to vaporize the tissue and remove the top layer as well as some of the sublayer of skin. This is usually a one-time procedure since it’s immediately effective. The non-ablative lasers technology was developed to help minimize recovery time and help reduce the chances of complications. Instead of vaporizing the tissue, the non-ablative lasers coagulate the tissue keeping the outer layer intact. Since this is less extreme, it takes multiple treatments instead of one. There is also something called fractional skin resurfacing that uses a combination of the two laser treatments to create an effective but safer treatment. Here, laser energy beams are used on affected tissue from the outer layers to the sublayer of the dermis. Fractional skin resurfacing can help stimulate new cell growth but not as much as the ablative laser treatment does. It does leave your skin looking more radiant and even, however. The possible side effects of laser skin whitening are swelling, prolonged redness, skin blistering, scabbing, scarring, and cold sores. General skin infections are also possible. Due to the fact that the laser disrupts the skin cells’ structure, it can harm melanin production. This can work against skin lightening in some cases as it can cause an increase in melanin production and cause hyperpigmentation instead of hypopigmentation. The recovery time can last for a day or two all the way up to twenty-one days depending on the type of procedure you undergo and how much is done. This is another skin whitening procedure that uses liquid nitrogen or liquefied nitrous oxide to actually destroy melanin cells. This allows your skin to grow new layers in a lighter shade. This is also used to treat freckles and dark spots from aging and sun damage. It’s non-invasive and involves freezing the skin creating a localized frostbite. The darkened skin peels away after freezing leaving healthy layers of skin behind. This is done in three different ways. The first technique uses Q-tips that are dipped in cryogen. These are applied to the affected skin and left to freeze and then thaw in order to destroy the skin cells. The second technique sprays the cryogen onto the skin while the third option uses a probe to treat the skin with the cryogen. All three techniques use the freeze-thaw method to eliminate the skin cells. This works because the melanin is pushed to the surface of your skin and then is destroyed and peels away. Cryosurgery is minimally risky with the only concern being possible scarring. There is a small risk of nerve damage as well as blistering due to the nature of the procedure. This is usually an outpatient procedure and has a short recovery time when compared to more aggressive treatment methods. While these are some of the common skin lightening techniques, remember, there are also natural options that may not work as quickly but are effective over time. Research your options and speak with your doctor before choosing a skin lightening cream or medical procedure for skin lightening in order to make an informed decision that suits your needs best.